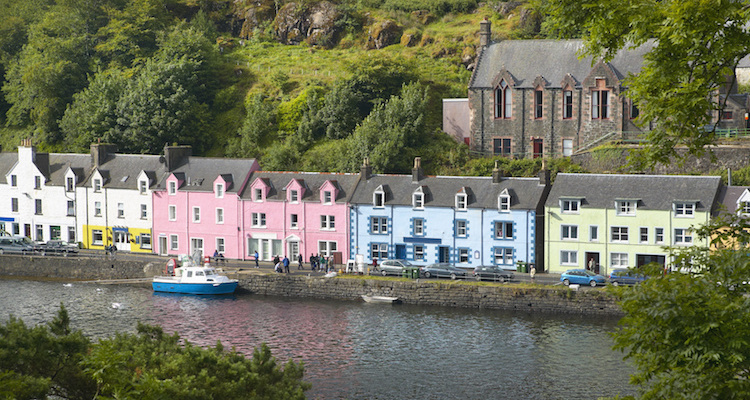 Home Farm Apartments are situated in a quiet residential part of Portree, just a few minutes’ walk away from shops, restaurants and the lovely harbour and a brilliant spot to explore the Isle of Skye. From the Skye bridge take the A87 to Portree. Turn left into Portree square/town centre and then take your the next left onto Home Farm road, Bank of Scotland will be on your left. Continue up passed a hotel named Marmalade, apartment parking is approximately 10 metres on your left further along the road after Marmalade.